Magnet Belt Back & Belly 12 Mag. Jeans It is pyramidal back & belly belt stitched in jeans. 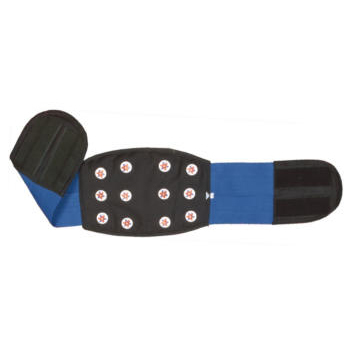 Inside it magnets are positioned over the acupressure meridians for optimum result. Use the belt for 15-30 minutes daily. INDICATION: Useful for backache, obesity and digestion. Increases the blood flows to the abdominal walls and dissolves the excessive calcium deposits on the wall of the blood vessels. It improves the digestive system.